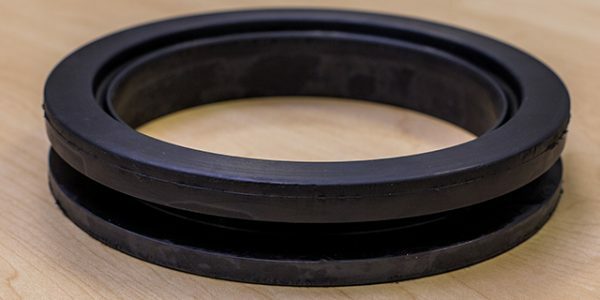 The initial enquiry came in for the supply of ribbed rubber to be used in seawater conditions. We were provided with drawings by the client, which gave us a good starting point. After some further communication, we started on the design and materials selection based on the lifespan of the materials required. 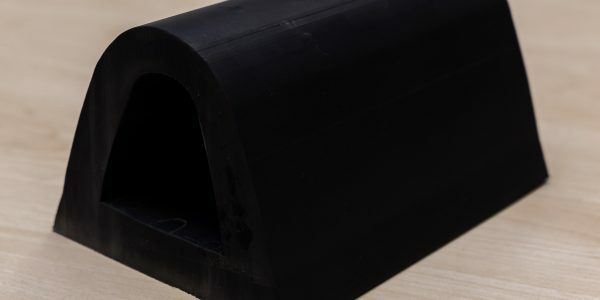 We ended up selected ribbed Neoprene rubber, which is fitted to the bottom of a steel ladder which is then mounted on the exterior of an offshore wind turbine. 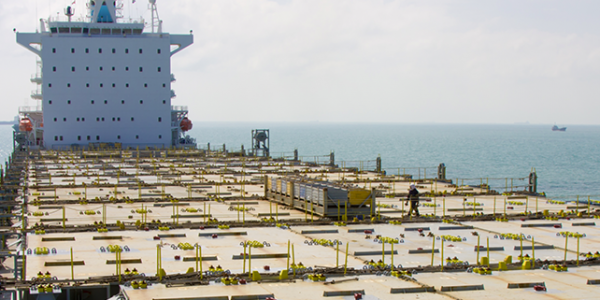 As the material is going to constantly exposed to weather and seawater, Neoprene was the best choice for the job. This decision was made with extensive client input. Our Neoprene has a 20 years lifespan in this environment. In addition to seawater, the ozone and temperatures of where the turbines are located were both taken into consideration for this job. 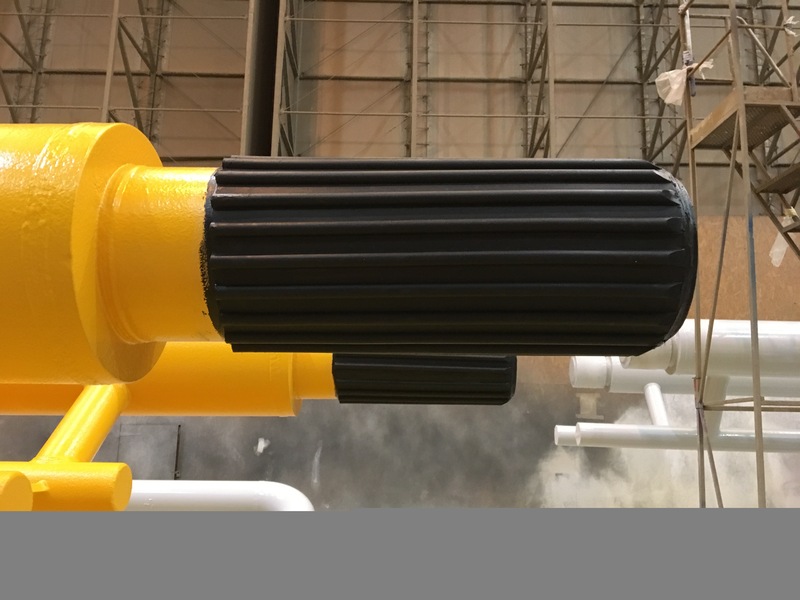 Neoprene 60 shore was chosen due to the history of the Neoprene rubber uses over many years in the subsea environment. The project started off as a small four-off set items and this lead on to 24 offsets (2 per set). The project has been ongoing for 12 months and we have delivered our items on time every time. The challenges of this project were the sizes of the steel structures, and fitting and bonding the rubber to the steel as it has to be just right. 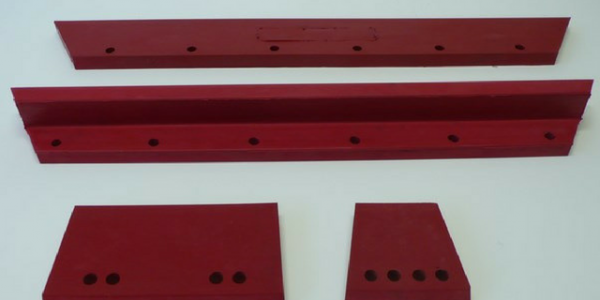 We worked with an independent coating inspection who was there for the end user final inspection. They raised an issue two months into the job about the testing of the bonding between the rubber and the steel. Fortunately, this had been brought to our attention and we were able to rectify the situation. 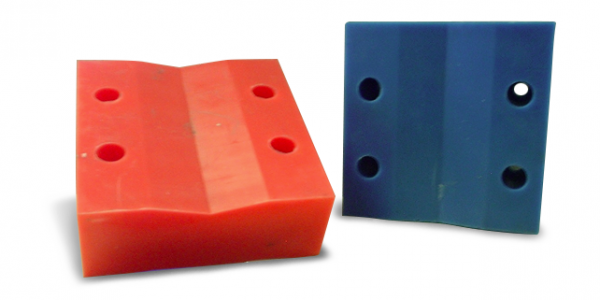 Aquaseal quickly jumped on the issue by making test pieces and carrying out a pull test which was witnessed by the coating inspector and the Aquaseal client with great success, proving our method of bonding was stronger than the rubber used. The project was completed on time and within budget. We even got extra work to carry out at the site fitting the rubber items, which was also passed by independent quality control company.